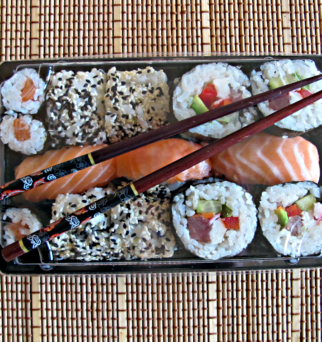 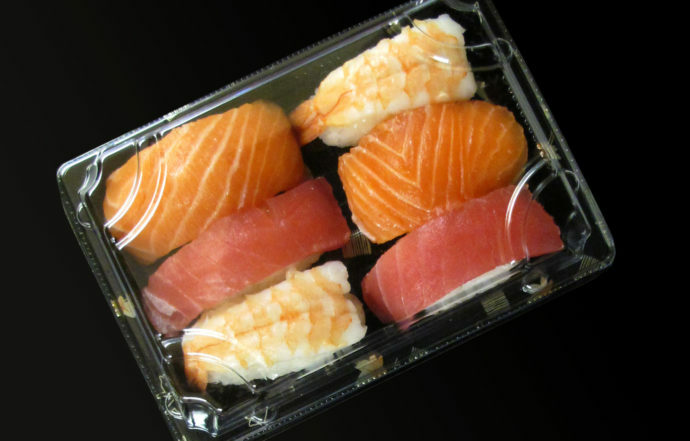 Especially for nigiri lovers – 6 pieces – salmon, tuna and prawn. 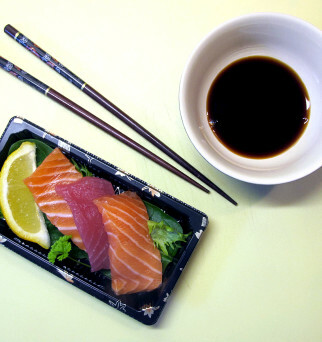 Do you like taste of fine fish? 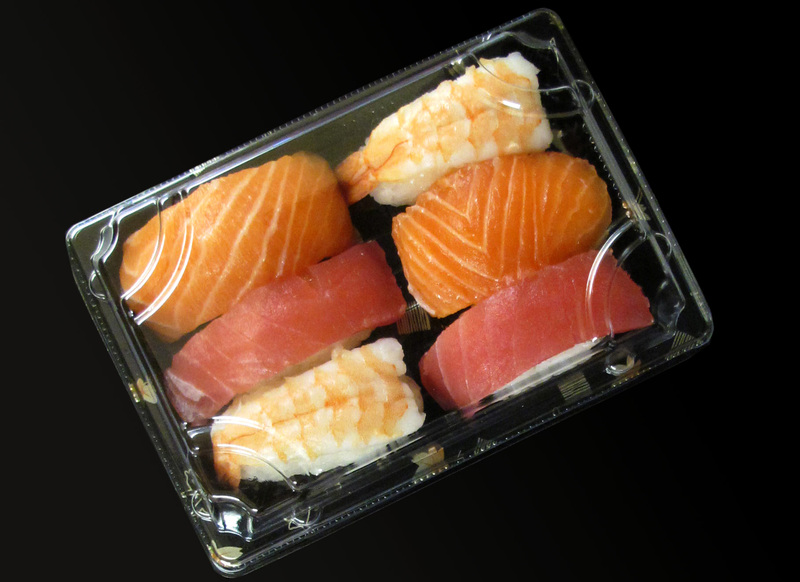 Delicate salmon, tuna and prawn… 6 pieces of nigiri in one box! 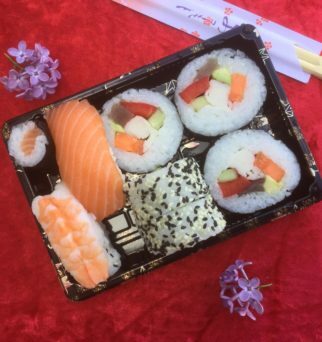 Perfect for your today’s lunch! 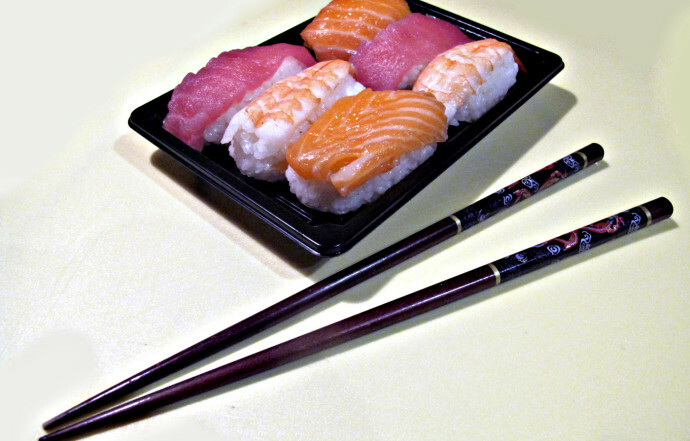 Try our new Sushi: gunkan and red uramaki! 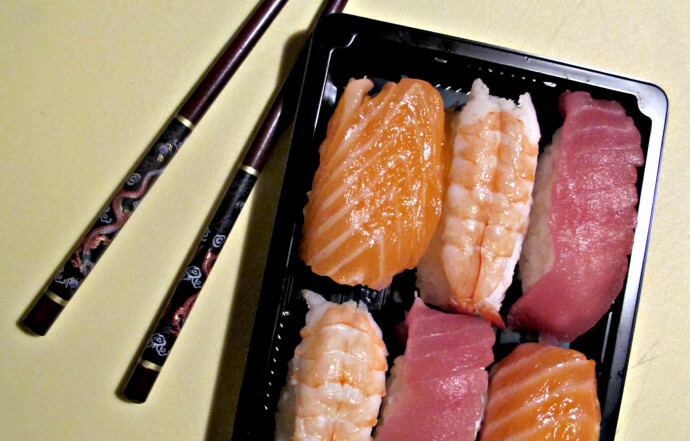 Fresh, fine fish – perfect addition to our Sets! 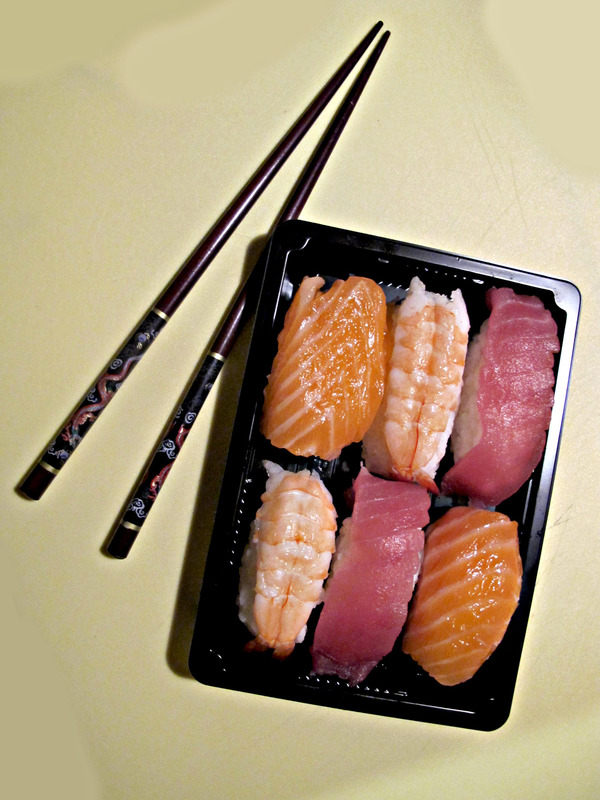 3 pieces – salmon and tuna. 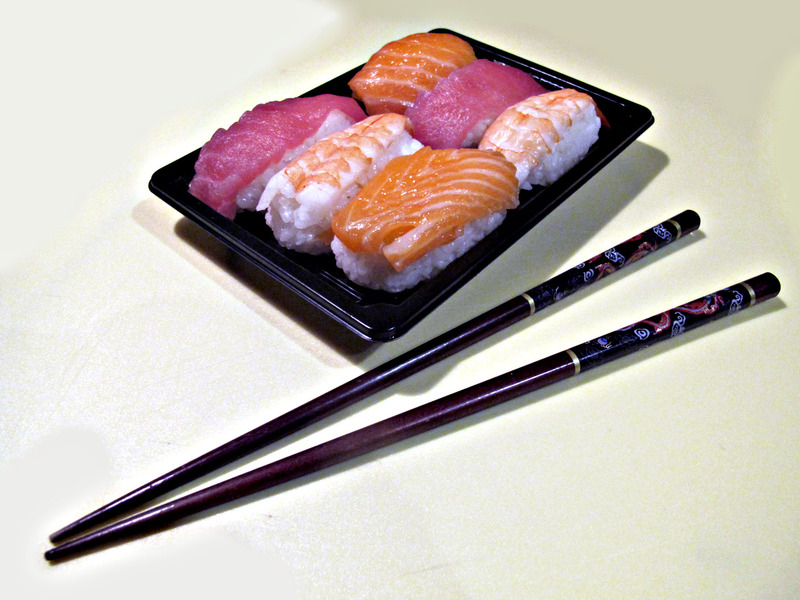 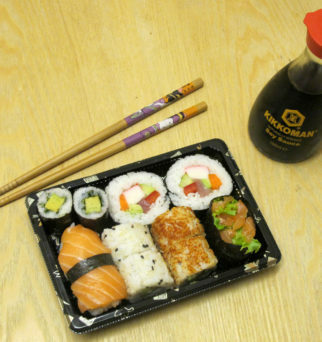 Perfect for 2-3 persons, 18 pieces of delicious sushi!